The Marvel Monsters were well represented in Marvel's Slurpee cups from 1975. 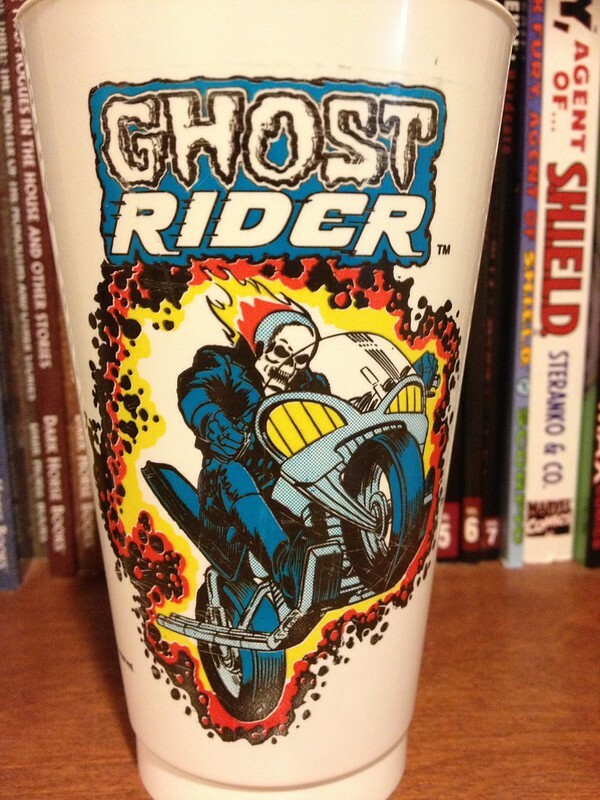 Man-Thing, Dracula, and Ghost Rider has their own cups. Johnny Blaze was featured on his hellblazing cycle. Now where did this image come from? 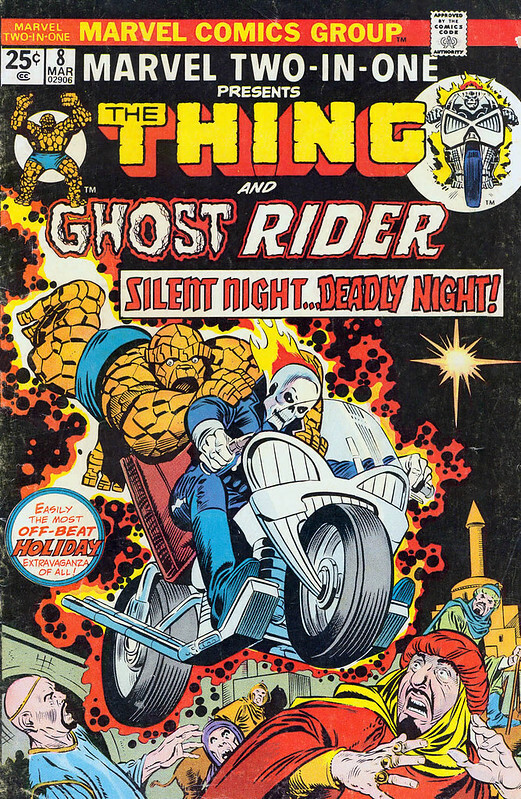 A Ghost Rider comic or an issue of Marvel Spotlight? Neither! It was lifted off the cover of Marvel Two-In-One #8, cover dated Mar 1975 but it probably was on the stands in Dec 1974. The Slurpee cups were sold at 7-Eleven the spring/summer of 75. The cover is by Gil Kane and Joe Sinnott. Always found that one a strange tale...Ghost Rider in a Christmas story. Nuff Said!